SAN NARCISO, Calif. -- Following in the footsteps of San Francisco, San Narciso’s City Council passed a measure this morning to ban local area McDonald’s restaurants from offering free toys in meals that exceed the set levels of calories, sugars and fats. 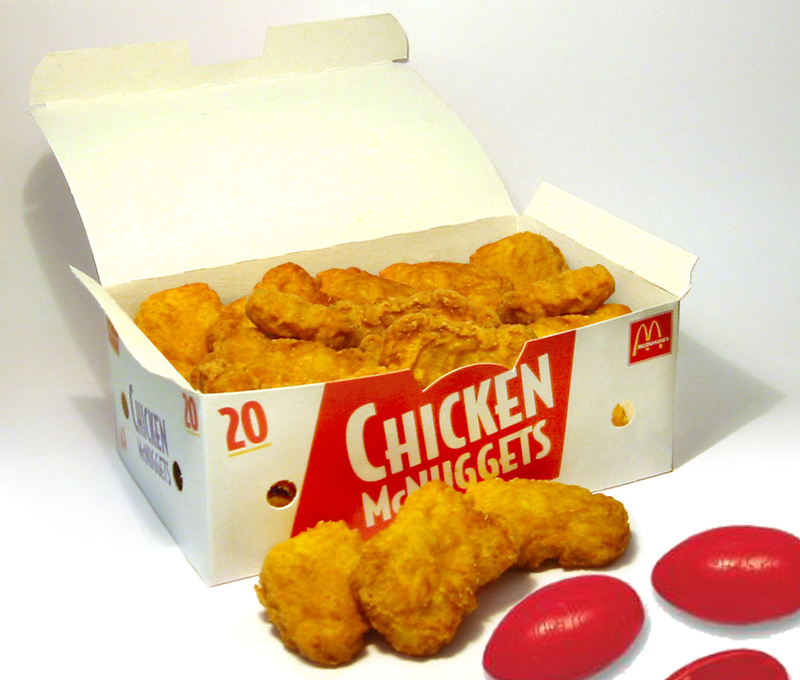 The decision mostly affects the sale of the popular Chicken McNuggets Happy Meal. However, wanting to distance itself from what pundits have derided as “the radical socialism running amok” in the Bay Area, San Narciso has offered the fast food giant what it believes to be an equitable compromise. DiPresso is referring to the recent discovery that McNuggets contain the chemical preservative tBHQ, tertiary butylhydroquinone, which is a petroleum-based product used as an anti-foaming agent. The same chemical is also used in the manufacturing of Silly Putty. 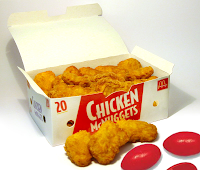 Recent studies comparing McNuggets made in the United Kingdom to those processed in the United States find that the British variants contain no trace of tBHQ. Elsa Comb, McDonald’s global media relations spokesperson, says the difference comes down to a matter of taste. Comb also reiterates that McNuggets are now smaller than their predecessors and contain all white meat. This change came after a 2003 ruling in which a federal judge called the food “a McFrankenstein creation of various elements not utilized by the home cook.” Critics still cite McDonald’s refusal to divulge what animals the “all white meat” originates from as an unresolved source of concern. The decision to ban the inclusion of toys with Happy Meals, proponents say, is to ensure that the toys alone aren’t incentive for children to eat chicken made out of Silly Putty. But San Narciso’s City Council wants to strike a deal with McDonald’s.